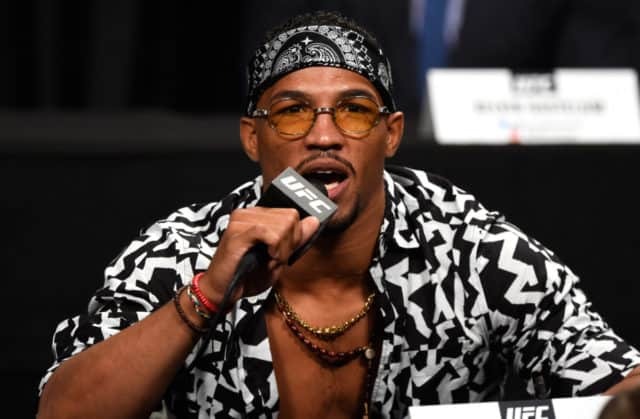 Former interim UFC lightweight title challenger Kevin Lee makes his welterweight debut at UFC on ESPN+ 9. “The Motown Phenom” will face former 155-pound champion Rafael dos Anjos in the night’s main event. The action goes down from the Blue Cross Arena in Rochester, New York on May 18th. UFC officials confirmed the match-up to the Democrat and Chronicle earlier today (Wed. March 20, 2019). Lee, currently ranked the No. 5 lightweight in the UFC, will make his 170-pound debut. He has lost two of his last three fights inside the Octagon. Lee hasn’t competed since a unanimous decision defeat to Al Iaquinta at UFC on FOX 31 in December. Now, he’ll step back into the Octagon at 170 pounds against former lightweight king Rafael dos Anjos. “RDA” is on a two-fight losing streak, having dropped his past two contests via unanimous decision to both Colby Covington and Kamaru Usman. Dos Anjos is the No. 4-ranked welterweight in the world. A win over the Brazilian could be Lee’s quick ticket into the top five at welterweight.